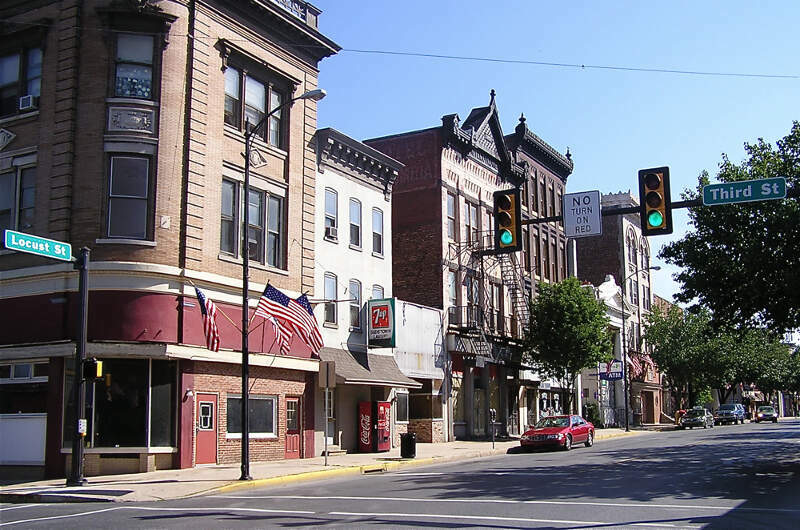 Columbia, formerly Wright's Ferry, is a borough (town) in Lancaster County, Pennsylvania, 28 miles (45�km) southeast of Harrisburg on the east (left) bank of the Susquehanna River, across from Wrightsville and York County and just south of U.S. Route 30. 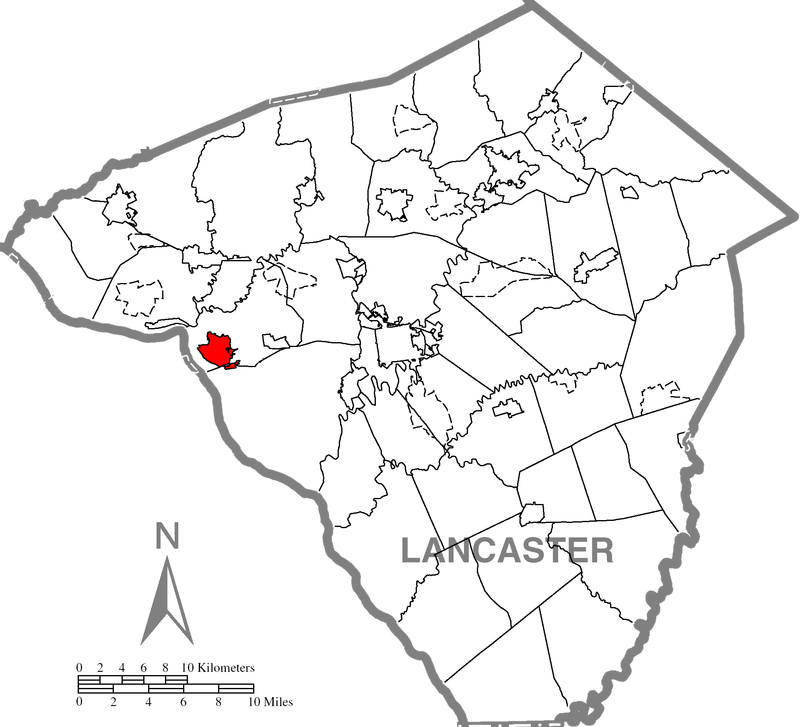 The settlement was founded in 1726 by Colonial English Quakers from Chester County led by entrepreneur and evangelist John Wright. 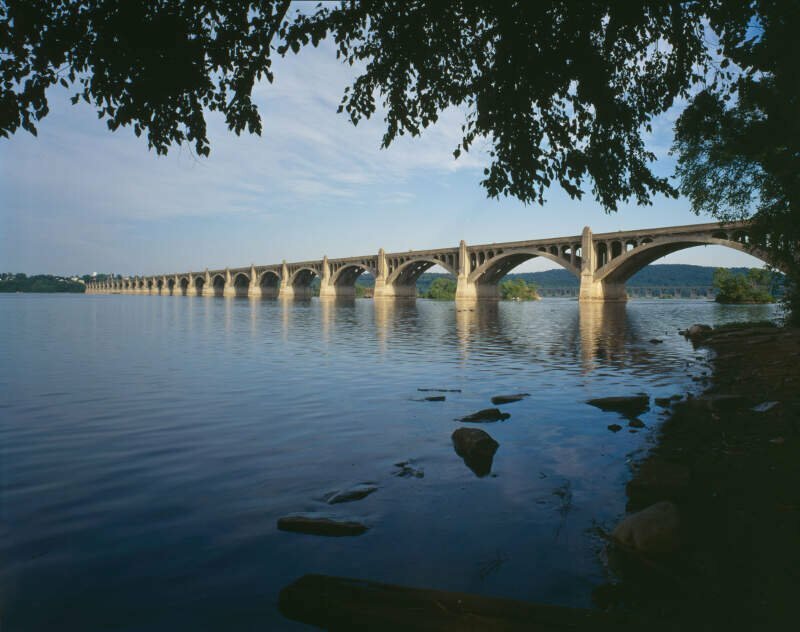 Establishment of the eponymous Wright's Ferry, the first commercial Susquehanna crossing in the region, inflamed territorial conflict with neighboring Maryland but brought growth and prosperity to the small town, which was just a few votes shy of becoming the new United States' capital. Though besieged for a short while by Civil War destruction, Columbia remained a lively center of transport and industry throughout the 19th century, once serving as a terminus of the Pennsylvania Canal. Later, however, the Great Depression and 20th-century changes in economy and technology sent the borough into decline. It is notable today as the site of one of the world's few museums devoted entirely to horology.